A little bit country: Confederate Railroad. A little bit rock’n’roll: Blue Oyster Cult. Plans appear to be in full swing for Portsmouth’s long-running, end of summer bash, namely the annual River Days festival. Via their Facebook homepage, the River Days committee on Monday made what is usually the highly anticipated announcement of what entertainment will be appearing onstage along side the Ohio River during the festival. 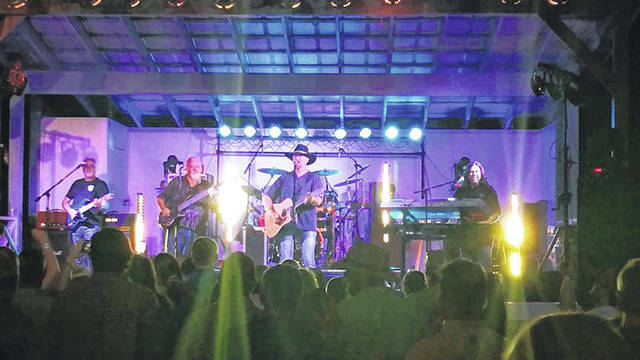 Besides a fairly large assortment of cover acts, visitors can look forward to a Southern rock headliner in Confederate Railroad, scheduled for 9 p.m. Aug. 29. 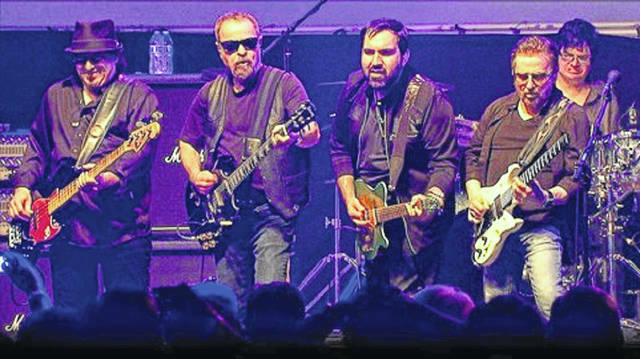 Well-known classic rockers Blue Oyster Cult take to the River Days stage 9 p.m. Aug. 31. Which act you might be looking forward to most probably depends upon your taste in music. Cover bands scheduled for River Days are to include Rock This Way and City Heat the Band. The latter lists their home bases as Huntington, W.Va., and Grayson, Ky. “Raised on rock and roll, fueled by our country roots,” Northeast Kentucky cover band Devils Creek Will Help close out River Days on Sept. 1. As has become tradition, the last act of the festival will be hometown staples Doc Roc and the Remedies. For a complete listing of all acts, times and dates, visit the River Days Facebook homepage. Note a short video on the homepage lists what is apparently incorrect dates for Confederate Railroad and a few other acts. Those dates are corrected further down the Facebook page, in some cases by River Days committee entertainment co-chair and backstage manager Teresa Bratton. Speaking last year about the 2018 River Days, Bratton talked about getting a wide variety of acts and making sure they don’t clash. She quipped that you don’t want to put a folk act on the same bill as a heavy metal band. Shawnee State University professor and local entrepreneur Timothy Angel long has served as president and chairman of the River Days committee. Angel was not readily available for comment for this story. As did Bratton, Angel did speak to the Daily Times last year about the 2018 festival. Angel said picking acts for River Days is not an easy task. He admitted some folks might question why the festival can’t attract some perhaps bigger names. “These acts don’t come cheap,” Angel said, adding some of the bigger name people might like to ask for fees in the hundreds of thousands of dollars. River Days is supported by donations and sponsorships, Angel notes. “You don’t have a gate charge,” he continued. Additionally, Angel pointed out the festival is not just about the music acts but includes the River Days pageant and one of the biggest daytime parades in Ohio. The River Days committee will have some extra help this year in the form of the ever-growing community group the Friends of Portsmouth. Spokesman Nick Rutman said the Friends’ role with River Days has not been precisely defined. He stated they simply will help out in any way possible. The Friends of Portsmouth have so far gained considerable notoriety primarily for two events, last year’s Plant Portsmouth, a mammoth volunteer clean-up of downtown Portsmouth and Boneyfiddle. The group also was responsible for December’s seemingly well received Winterfest which took place during the Christmas holiday and will return again late this year. Both Plant Portsmouth and Winterfest saw residents set world’s records, one for the largest number of people potting plants at the same time and the second for the largest number of people simultaneously Christmas caroling. https://www.portsmouth-dailytimes.com/wp-content/uploads/sites/28/2019/04/web1_confederate.jpgA little bit country: Confederate Railroad. https://www.portsmouth-dailytimes.com/wp-content/uploads/sites/28/2019/04/web1_bocclr.jpgA little bit rock’n’roll: Blue Oyster Cult.